So as per TBHP the numbers for TUV 300 in March 2016 stands to 2614 units compared to Feb 2016 figure of 2634. This indeed a decline in sales of TUV 300 in recent past months. Started at 4551 units in Oct 2015 and now has come to almost half of that. Creta is clearly leading the sales but coming months with brezza effect can create more dents in TUVs pocket. Like I commented elsewhere in the forum, Mahindra will try to maintain combined sales of TUV300, 500 & NuvoSport in 4.5k to 5.5k range. This way they can milk the investment done on all new platform with Scorpio too sharing the same. 3000/4000 crores of investment, ground up or complete new platform etc announced to feed media only. This is third consecutive month when TUV 300 sales are noticing a decline. From last months sales of 2614 units its down by around 686 units. Even newly launched NuvoSport is unable to produce any numbers. With only 553 units of NuvoSport it seems it has got attention from prospective TUV 300 customers only. So Mahindra's dream of combined selling from TUV + NuvoSport of around 5000 units seems a dream only. Mahindra is launching a possible TUV 300 T8 and T8 AMT with 100 BHP NuvoSport engine on 12th May and it will be interesting to see response from public in coming months. I was expecting Brezza impacting Creta badly than Mahindra. I still feel it is case of some inventory management from Mahindra and buyers getting overwhelmed by too many choices. I also feel that mHawk 80 of existing TUV should outgo instead of coexisting with mHawk 100 to make buyers less confused. Or may be Mahindra is taking a leaf out of Hyuandai and Maruti 1.4L, 1.6L and 1.8L choices. Sharadkt wrote: :o I was expecting Brezza impacting Creta badly than Mahindra. So now it makes perfect sense. Numbers were low as prospective customers and deaers were waiting for mhawk 100. The real picture will be clear only after seeing May month sales. Numbers going down month by month with now proven that NuvoSport was the biggest blunder Mahindra has made. They should have focused more on TUV with a possible 1.99 L and 4X4 options. Jago Mahindra Jago - Customer is king and you are killing the king by not listening to their problems. Also learn from competitors what value addition official public recalls bring rather than doing everything silently. 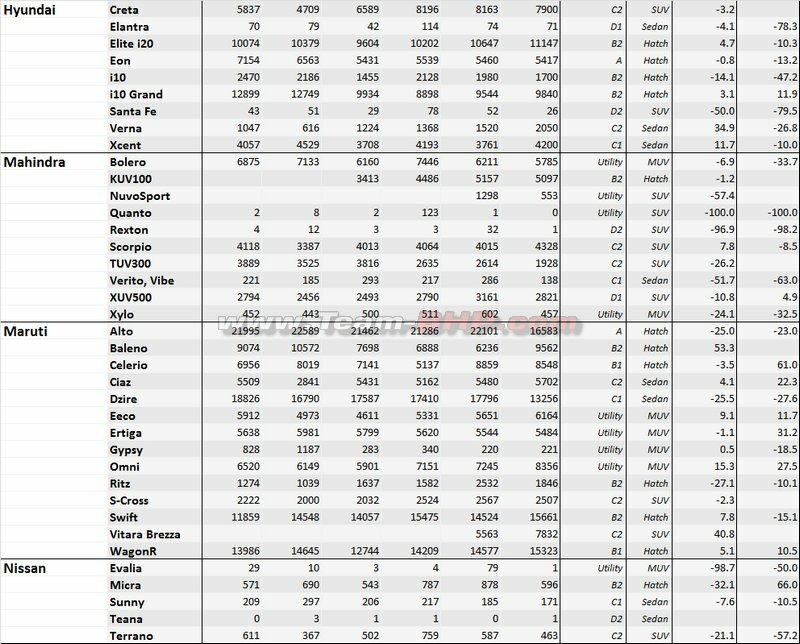 NuvoSport not able to cross 500 mark even in third month, has proven that its a dead horse and Mahindra should start thinking about quality and features rather than quantity. Mahindra should sit back and think seriously. All the trust and love they earned with Scorpio and XUV, is loosing out and now getting translated in sales numbers. Public want features - Add simple features like rear AC ducts, climate control, push button start, touch screen etc in any possible future version. I hope someone from Mahindra should see these threads and feel the matter of urgency and stop treating sales figures as a side effect of Creta and Brezza. Please post July sales figures. 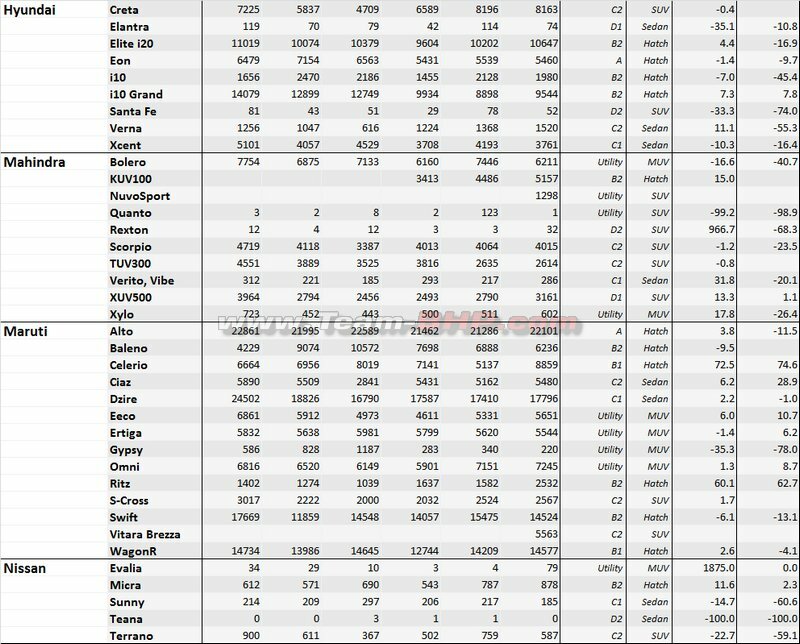 July has bring a slight cheer for TUV owners as TUV sales able to cross 2K figure and first time a positive figure since last few months constant decline. Is the Armour cladding advisable, I am planning for my new vehicle Black T8 100 model. any advise?